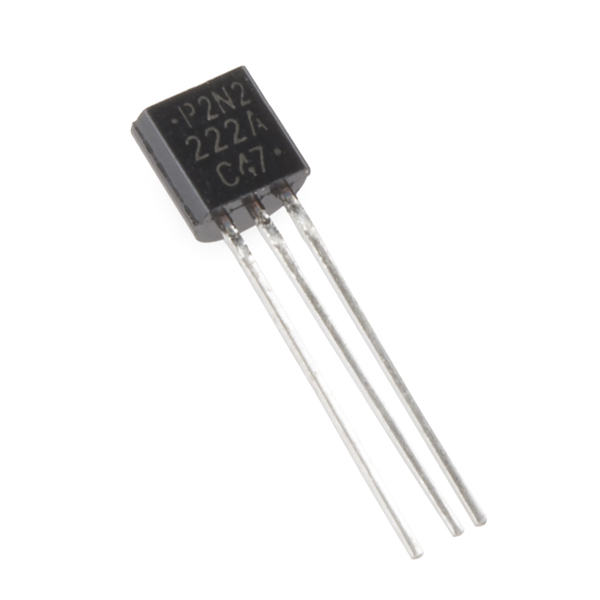 This is the P2N2222A, an NPN silicon BJT (Bipolar Junction Transistor). 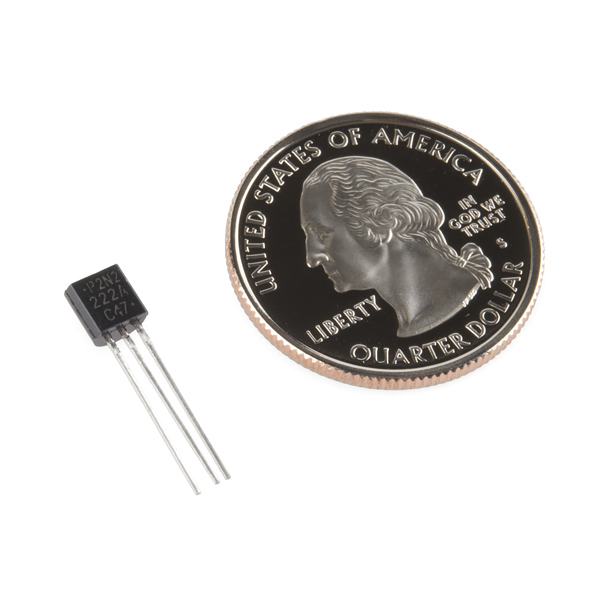 This little transistor can help in your project by being used to help drive large loads or amplifying or switching applications. The P2N2222A is specifically rated at 40V and 600mA max. This is the transistor used in our Sparkfun Inventor's Kits. Hey how about a "transistors 101" tutorial? Show some examples of using transistors, and exactly what they do in several types of circuits. I think doing this with a lot of basic components, and how they interact with each other would be useful (like, say how how to make a set of blinking LEDs using capacitors, transistors, and resistors? Pete puts out some great material in this tutorial. He's got others that are pretty informative as well. These are the On Semi P2N2222A, with CBE pinout. The nearly equivalent On Semi PN2222A has an EBC pinout. I'm having trouble digging one up, but there are probably some Japanese transistors (Hitachi or Toshiba) with 2222 in the name that have a BCE input. You have to make sure you've got the datasheet specific to the device you're working with. It is totally doped! The P is even better then the N as far as doping goes.